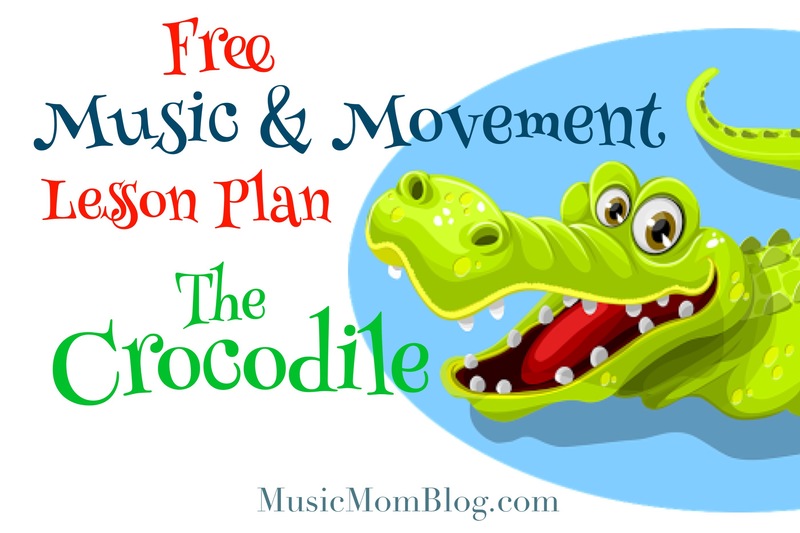 Here’s my lesson plan for the Crocodile theme! This lesson was fun to do for the reason that it is an unusual theme. Feel free to use this plan in whichever way that best suits your class age and needs. Materials Preparation: Find a picture of a crocodile on a tablet to show the children as part of the introduction. Prepare the songs included in the lesson outline below (you can buy them on iTunes or download them from YouTube). Ensure that you listen to and learn the songs prior to the class so that you don’t look like a dummy if you are not sure how the song goes. Introduce the Crocodile theme using a nice picture of a crocodile on a tablet or using a poster. You can speak a little about crocodiles, their habitat and diet. Can you see the bubbles…? Is that…? Could it be? !Yes it’s a crocodile! Look out! There’s his snout! Is that…? Could it be?! 3. Gross Motor Activity: Use your Imagination! Act out the Little Baby Bum Crocodile Song. The song will give you cues as to what actions you will do — like looking at the bubbles in the water and then looking through the bulrushes with make-believe binoculars at a crocodile in the water. The song will describe the crocodile’s big snout, teeth, tail, claws, etc. Act like the crocodile as the descriptive words are sung. You can do this song twice with actions to allow the children to get the hang of it. Ask the children if they would ever smile at a crocodile? Explain that this song comes from the Walt Disney Classic, Peter Pan. Ask if anyone has seen the movie. Explain what the story is behind the song: Captain Hook is terribly afraid of crocodiles! This is because Peter Pan cut off his hand and threw it to Tick-Tock the crocodile who gobbled it up. Explain that we need different symbols of notes to tell us how long the music note should sound. Show them a picture of the note and teach them that it gets one count. Practice playing just the first beat of every bar in the song. Do a variety of different things with the instruments, ie shake instruments fast and slowly, loudly or quietly, shake them up or down, left or right, behind, twirl around in a circle, etc. The children will need to copy what you do. Help children to remember that although crocodiles are fun to look at at the zoo, they are dangerous and they should be extremely cautious to avoid them out in the wild. In your circle, sing your Goodbye/Winding-Down song.